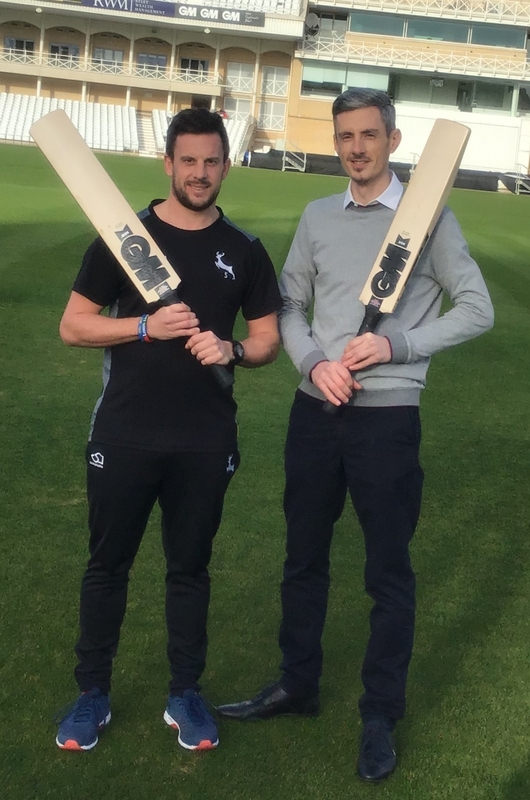 Gunn and Moore are delighted to welcome Nottinghamshire CCC Captain, Steven Mullaney to the GM family, who has signed a deal to use GM equipment for the upcoming 2019 season. The Outlaws all-rounder was named captain in 2018, taking over from the recently-retired Chris Read, having proved himself to be one of the most consistent and versatile players in the country, a reputation which earned him the honour of being named England Lions captain in their recent series against India A and West Indies A last summer. "I am delighted to bring Steven to Gunn & Moore. In Steven we are signing a very good, versatile, all round cricketer who plays in all forms of domestic cricket and a big influence in the Nottinghamshire dressing room,” said Head of Sponsorship, Richard Harris. “Steven follows a long line of Nottinghamshire captains to use GM equipment, including Reg Simpson, Stephen Fleming, Tim Robinson, Chris Read & Jason Gallian. On behalf of the whole Gunn & Moore we look forward to welcoming Steven into the GM Family. In 2018, you will see Steven gracing Trent Bridge with the Noir L555 DXM LE." In 2010 Mullaney switched to The Outlaws from Lancashire where he added his name to the small list of Nottinghamshire players to score a century on his first-class debut for the county, when he made exactly 100 not out against Hampshire at The Rose Bowl. To date he has scored over 6,500 runs and taken almost 100 wickets in First Class cricket, a CV that will no doubt continue to flourish with his new GM equipment. Mullaney’s signing is just another indication of the strong relationship between GM and Nottinghamshire CCC, as both parties have agreed to extend the existing partnership agreement. Under the terms of the deal, Nottinghamshire will expand their retail range to include Gunn and Moore bats and protective equipment and an extended range will be made available on the Trent Bridge website from February. The existing Partnership already sees GM provide equipment to the Club’s coaching staff, as well as the Club’s Academy and Age Group cricketers. “We’re delighted to be able to extend our relationship with Nottinghamshire County Cricket Club and further strengthen the link between two world renowned names in the game of cricket,” said GM’s Marketing Manager, Tom Coffey. “The 2019 season has a huge amount of promise both on and off the field, which we're all really excited about."